Originally released in 2008, Tales of Vesperia not only was the best JRPG of the 7th console generation but its newly remastered Tales of Vesperia: Definitive Edition makes a pretty strong case to consider it the best of the current (8th) gen as well. 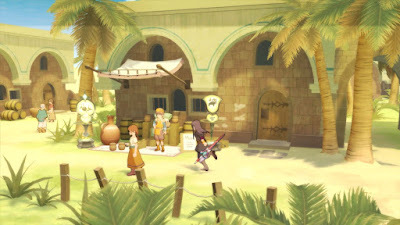 Tales of Vesperia just has that special something that is not only enjoyable to play, but very memorable long afterward. It looks great, has a fantastic soundtrack, has awesomely likable characters, and a fun battle system that doesn't overwhelm you with mechanics. I loved it back in the day when I reviewed the original Xbox 360 release for About.com and, dang it, I love it even more now that it's on Xbox One, PS4, and Switch. 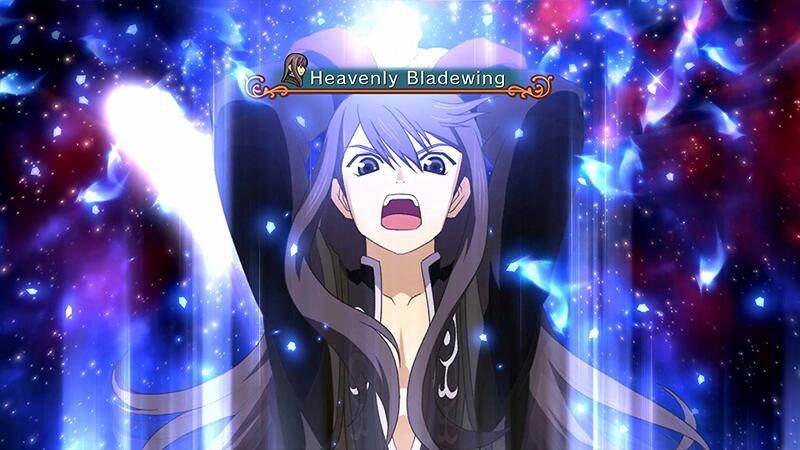 Continue reading our full Tales of Vesperia: Definitive Edition review for more. Tales of Vesperia: Definitive Edition includes the full base game along with all of the new stuff added to the Japanese PS3 exclusive release of the game. These new additions include two new playable characters, tons of new vignettes, new story scenes, and new dungeons, among other things. It also features the cleaned up visuals we've come to expect from remasters. One slight negative is that the new vignettes and story scenes required new voice work and not all of the original English voice actors returned. For the most part the new voices are OK and mesh fairly seamlessly with the voice you're already used to, but main character Yuri's new voice is hard to ignore. It just sounds off. The Definitive Edition also comes with a couple of free pieces of DLC. Free DLC is good, right? Maybe not, in this case. One DLC unlocks costumes early that you'd earn in-game anyway, while the other one gives you items, synth materials, tons of in-game cash, and lets you significantly level up your party. Getting all of that free money and items and levels totally throws off the balance of the game, of course, so use them at your own risk. I wouldn't recommend using any of it at all if this is your first time playing through Tales of Vesperia. 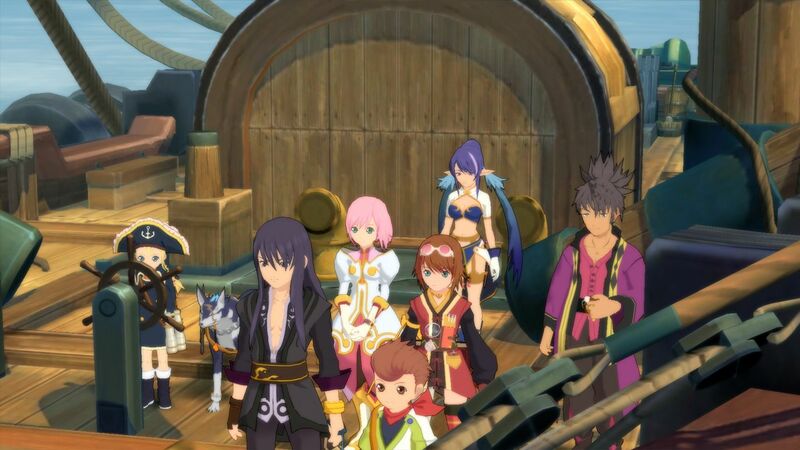 The story in Tales of Vesperia is a typical JRPG / anime plot where a ragtag group of strangers meet up along the course of a seemingly benign mission only to find themselves saving the world by the time it's all said and done. Honestly, it's pretty predictable and the story itself is one of Vesperia's few weak points. While the story is kind of "meh", the characters are awesome and some of the most genuinely likable overall of any JRPG cast. Their individual character growth throughout the story is interesting and satisfying and keeps you far more invested than the overall plot. 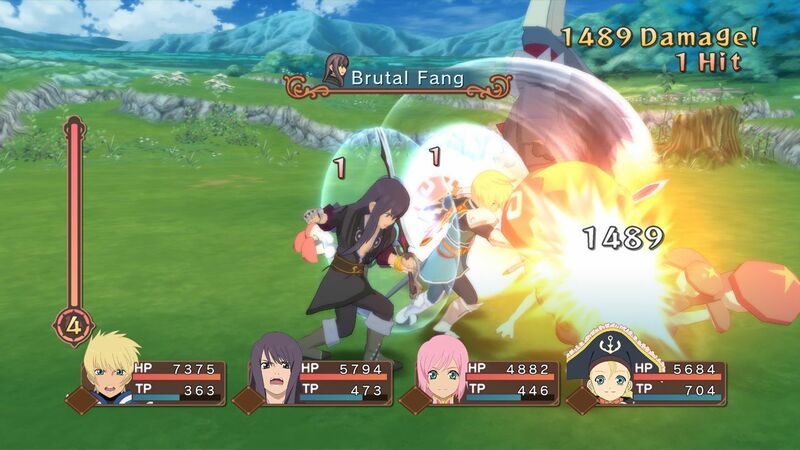 In 2019 Tales of Vesperia stands out a bit as it is still very much an oldschool-style JRPG. Mainly because it has an actual overworld map you first walk around on and eventually fly wherever you want instead of just selecting destinations from a menu like so many other games have done over the last 10 years. It also doesn't overwhelm you with gameplay mechanics and systems to make things over-complicated. It is straightforward good ol' fashioned JRPG fun. The battle system in particular stands in stark contrast to something like the most recent Tales game, Tales of Berseria. Both games use a real-time action RPG combat system where you can freely move around during battles and press buttons to perform different attacks, but Berseria just went nuts with a million different mechanics that made combat way too complicated. And it was all kind of for naught anyway because you could beat the game while just doing simple basic stuff, so all of that depth felt like a waste. Tales of Vesperia, on the other hand, is far more simple and straightforward. You've got physical attacks, you've got special attacks, and you've got basic elemental resistances to consider. You can customize what special attacks everyone has and you can chain attacks together. And that's mostly it. Combat is enjoyable and fun because it doesn't try to do too much. All of the characters play fairly differently because of their different weapons and styles, too, so variety comes from switching characters for a new style of gameplay rather than just loading you up with tons of systems and expecting you to use them. Perhaps the most striking thing about Tales of Vesperia is how uniformly great the presentation was both in 2008 as well as now with the Definitive Edition. The texture work is fairly simple, but the backgrounds are generally colorful and look nice and the anime character designs are very expressive and look great. Enemy designs are fantastic as well. The game has a sort of soft look to it, but in my mind that only enhances the anime look they were going for. The sound also deserves special praise as the music is absolutely phenomenal and the voice work (maybe not Yuri's new stuff, though) is generally excellent. All in all, Tales of Vesperia: Definitive Edition is the easily the best way to play one of the best JRPGs of the last 10-15 years. It looks and sounds great, has a great cast, and has genuinely fun and engaging combat without overwhelming you. It stands as sort of the last great oldschool-style JRPG since other series where other franchises went bigger and more cinematic and the only other JRPGs that get released these days dug themselves so far down the anime rabbit hole that they killed most of their appeal for many players long ago. Tales of Vesperia was and still is absolutely fantastic. Buy it.